The church situated next to Little Malvern Priory is still a house of worship, although now it is Church of England rather than Catholic. The story of Little Malvern Priory may be said to have started with St. Benedict (A.D. 480-543). He first planted at Subiaco in central Italy the seed from which sprang the Benedictine Order, which spread all over Western Europe, 1′he rule of St. Benedict was brought to England by St. Augustine in A.D. 597 and proof of its influence is to be found in many of our abbeys, cathedrals and monasteries, some now ruined and others still in active use. 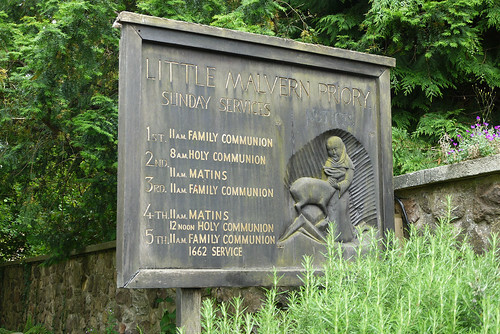 Of the monasteries, Little Malvern was one of the smallest, never having more than ten or twelve monks at any one time, but not one of the later ones for it was in existence in the middle of the twelfth century, and its formation date is now generally accepted as 1125. 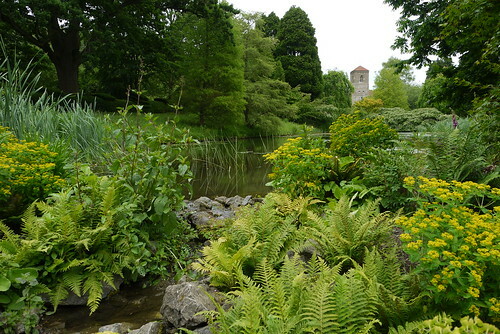 There has been a theory that it was originally founded by two brothers, Jocelyn and Eldred, who came here as hermits from Worcester in 1171, but this theory has been disproved by the records of Bishop Simon of Worcester (1125-1150) which refer to ‘Little Malvern and the Church there situated’ as being ‘one inseparable body with the (church of Worcester’ so that the ‘Prior of Worcester in way of correction’ could ‘remove monks from Little Malvern to Worcester, place monks of Worcester in their room and choose the Prior of Malvern in the Chapter of Worcester’. 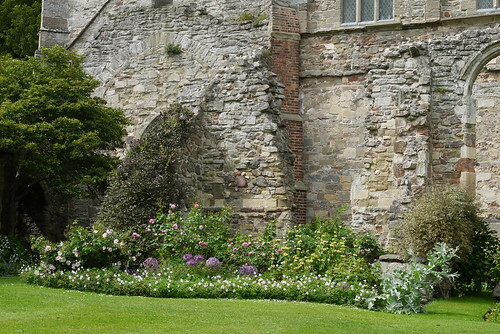 It was, however, in 1171, that the Foundation was firmly established, the fact being proved by the fragment of the late Norman work of the nave arcade on the left-hand side of the entrance door. This dependence of Little Malvern upon the Mother-House of Worcester continued uninterrupted until the Dissolution of the Monasteries in the sixteenth century. Very little, however, is known of the place during those early years. 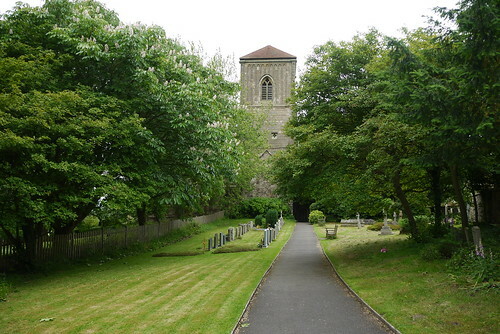 In 1282, Bishop Giffard visited the Priory and re-dedicated the Church to St. Mary, St. Giles and St. John the Evangelist, and the discipline of the house seems to have been good until 1323 when Bishop Cobham found it necessary to send the monks a letter condemning various abuses which had crept into the life of the Priory. But the most famous of the Episcopal Visitations was that undertaken by Bishop Alcock in 1480, when he found ‘the great ruin of the Church and place’, and when he discharged the Prior and monks ‘by reasons of their demerits’. According to his own account the ‘builded their Church and put their place of lodging’ into a sufficient state of repair so that the monks were able to return to their Priory in 1482, having spent two years under correction at Gloucester Abbey. 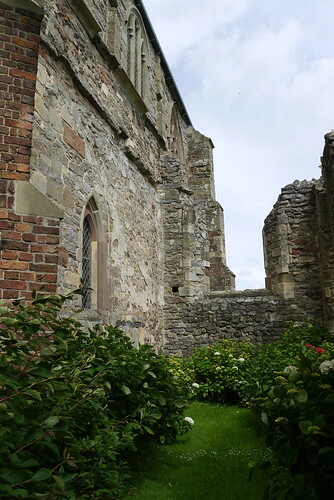 Thereafter so far as is known, life at the restored Priory went on normally until, like other lesser Monasteries, it was dissolved on August 31st, 1534, when the Prior John Bristowe and six monks subscribed to the King’s supremacy. 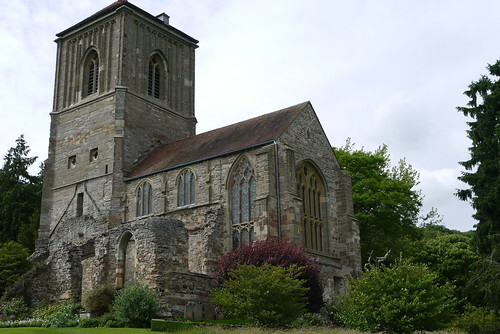 The Priory and its lands were subsequently leased to John Russell of Strensham, near Pershore and later sold to his son, Henry Russell, the stipulations being made that the Choir of the Church should remain for the use of the parishioners, and that ~5 should be paid annually to the Curate. The only part of the Monastic buildings to survive the Dissolution was the eastern portion of the medieval house including The Prior’s Hall, which forms part of Little Malvern Court. The Court still belongs to the Berington family, descendants of Henry Russell by inter-marriage in the eighteenth century who have lived here continually since that time. As we approached the priory church we heard music from within, which we thought was a church service. Not wanting to intrude we walked away from the path back to our car. In the car park we chatted with a gentleman who wondered if we had been inside the church. We explained why we hadn’t and he informed us that a choral practice was taking place ready for a concert later in the evening. He gathered up some smart clothes from his car and proceeded towards the church. What a precious little church, Cherry. I would love to visit it one day! I still haven’t been to the Malverns yet. Should I start with Great M or Little M first?